CEMEX announced three cement plants—Miami, Victorville and Brooksville South—achieved the U.S. Environmental Protection Agency’s (EPA) ENERGY STAR® Certification for 2018, recognizing their efforts in energy efficiency and sustainability. The three CEMEX plants have been repeatedly certified by the EPA’s ENERGY STAR® program for their conservation efforts. 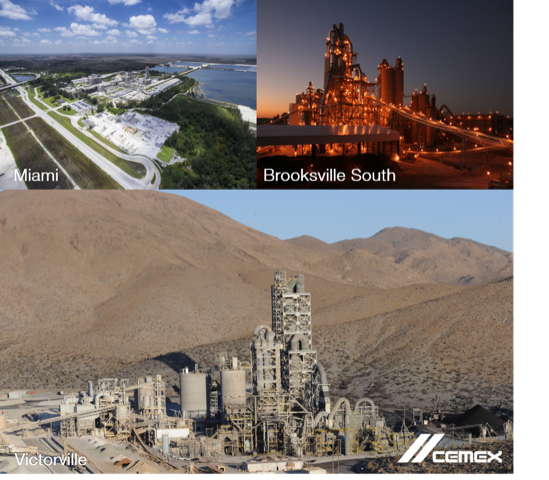 This year’s recognition marks eight consecutive years of ENERGY STAR® Certification for CEMEX’s Miami Cement Plant. The Victorville Cement Plant has earned the honor for seven straight years, and the Brooksville South Cement Plant has achieved the certification six out of the last seven years. To earn the recognition, each plant followed energy-efficiency principles established by the EPA’s ENERGY STAR® Guidelines and implemented energy conservation technologies along with energy-reduction projects. The recognized facilities were also among the top 25 percent of similar U.S. facilities for energy conservation and met the ENERGY STAR® Plant Energy Performance Indicators. CEMEX has worked to continuously decrease carbon dioxide emissions across its plants globally, cutting the emissions overall by 20% since 1990.